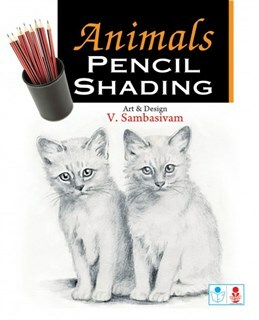 This bok has one picture per page for kids to practice shading. book is good. Want more such books from the portal. All kids should get such books and do in their free time. the price is very low at just 60/-. Got this one for my son. He loved it. Thanks to the publication. this book is easy to do for kids. They can do simple without much help. My kids love it. Kids will love this book. Very cute images of animals. Kids will also learn the names of animals from this book. Kids get bored soon. With such books they regain their interest. It is fascinating for them. All portals have discounts. But there is no discount here. Liked the book.